Nice ink, bro. Your calf is gigantic. 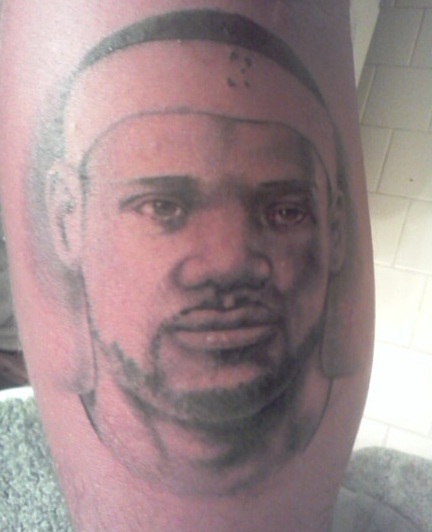 Dumb as this is… you put a gun to my head and say, “choose your calf tattoo,” I’m picking this Lebron James calf tattoo over this calf tat all day. Lebron’s got a little bit of Will Smith in him here, right? A little? This entry was posted in Basketball, Celebrities, NBA, Tattoos and tagged Cleveland Cavaliers, Heat, lebron james tattoo, Miami Heat, Tattoo. Bookmark the permalink.